What is the most important thing that you put into your car to keep it running? Fuel, right? Fuel is also the single most important thing that goes into any athlete’s body to keep it running. Fuel or 'food' as we all call it, is what allows us to continue prolonged exercise. Our bodies are essentially like coal trains. Like the train operator would feed the train coal in order to maintain a given speed, we as humans do the same with food. The problem is that all foods are not created equal, and there are so many different types of food available to us that it can be difficult to determine exactly which food is best to feed our own personal engines and in what quantities. One of my favourite things about cycling in Asia is the food options. A little care is needed when chowing into some of the traditional dishes to ensure you don't bite into fresh chilli. As demonstrated (badly) above! Up until February this year, I ate what I thought was a reasonably healthy and efficient diet that was in line with the extreme amount of exercise that I do. A goal of mine, for a long time, has been to shed some excess upper body weight that has remained since my previous life as a gym junkie. I’ve tried high protein diets, high carb diets, fruit diets, paleo diets and vegan diets to name a few, and every one of these diets had their flaws. The Paleo diet for example had me lose about 6kg from an already pretty lean frame (80kg at the time,) however it all occurred too quickly and I lost a lot of my ‘on bike’ power. Not acceptable in my eyes! When I tried a vegan diet, I actually put on weight. Looking back, I attribute this to eating too many starchy carbohydrates and not enough fruit or vegetables. But hey, it’s all learning. Fed up with not being able to reach my goal, I caught up with David Bryant, at Catalyst Dietition in Perth, in order to really focus on losing the upper body mass. Fast forward 12 weeks and I had lost 4kg, with the majority coming from my upper body. Astonishingly, in doing this, my power figures on the bike have actually increased which is a tell-tale sign that my diet is delivering to my body exactly what it needs and starving it of what it does not. Outlined below, I have provided the exact details of my diet (as prescribed by David Bryant) to give you a better understanding of what foods fuel me whilst both on and off the bike. As a word of warning, the diet information provided was formulated specifically for me, based on my training load and personal physiological attributes. 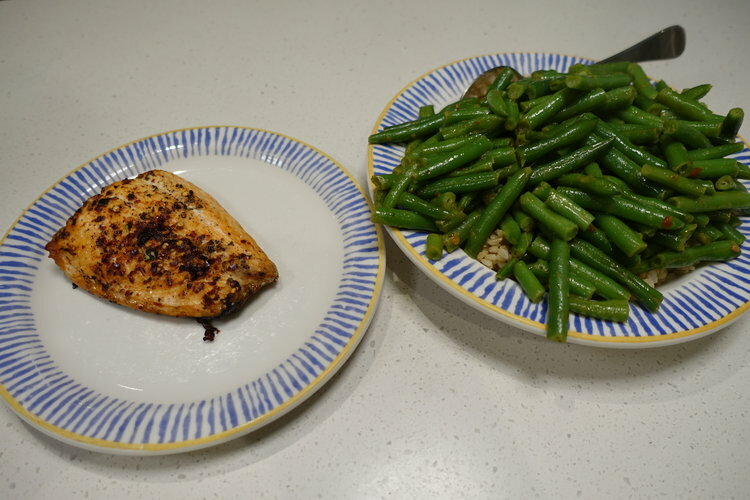 I would highly recommend that you visit David Bryant (if based here in Perth) or a similarly qualified nutritionist in your place of residence, if a personal diet plan is something you would like. I enjoy soy milk in a decaf coffee later in the day (I will cover a blog post on decaf shortly) but pre-ride I always keep my coffee's black. As noted above, for rides up to three hours, I won't eat beforehand and in addition to this I won't eat whilst on the bike either. However, If I am planning a longer ride, say 4hrs or more, I will consume food every hour. To make it clear, if I have a planned ride of 4 hours, I will eat at the end of hour 1, end of hour 2 and so on. There are a range of different food options that I take with me (even for rides of up to 8hrs, I carry all of my food with me. I’m not working a 9 to 5 and as such, don't have a spare $50 to spend at the cafe/servo every time I ride!) Food options range from homemade banana bread to “Scratch labs” style rice cakes, LCM bars, bananas and jam sandwiches. I’m not a fan of Gels as I find that they upset my stomach. My preference is to eat whole foods and the reason for this is that they actually fill me. The banana bread and rice cakes are fantastic. I make them in bulk, freeze them and then pop them in my rear pocket first thing in the morning. When it comes time to eat them, they are generally thawed and super tasty. I struggle with muesli bars or oat style bars on the bike as I find the oats have a tendency of getting lodge in my throat…The last thing I need mid-way through an 8-minute effort, gasping for air! Mid ride enjoying a cold can of coke and some fresh fruit. Whilst out on the bike, simple sugars are almost always your friend as they are readily available for your active muscles to burn. In collaboration with R3 Protein, we are developing an Electrolyte/BCAA mixture that will be perfect for cyclists. Stay tuned for more on this in the coming months. I have a ravenous appetite following exercise and this is especially true after a fasted session. The first thing I reach for is my R3 Protein. I mix this with 250ml of fluid (milk substitute because I don't enjoy milk) honey and frozen mango. A quick blitz in the blender and voila, the perfect post ride recovery meal. Cyclists underutilize protein. FACT. One of the single most limiting factors for athletes wanting to increase their fitness is the ability for their body to recover post exercise. This is exactly what protein is designed for. Jump across to r3protein.com and buy what I consider to be the leading protein supplement. It not only tastes amazing, but it is formulated to include everything you DO need and nothing you DONT. Being involved with the development of the R3 range allowed for me to provide valuable input as to what I feel is pivotal in a protein supplement. R3 protein contains everything you DO need and nothing you DON'T, allowing your body to refuel, restore and revive. My favourite meal of the day and the meal that sets me up for the day ahead. Skimp on breakfast and you will find that you spend the rest of the day eating or wanting to eat! My go to is simple and only takes a couple of minutes to prepare. I'll eat four slices of sourdough toast (homemade) paired with 4 tablespoons of ricotta cheese topped with a bag of spinach that I cook on the stove in a little olive oil. Recently I’ve been adding some curry powder to my spinach just before serving. This adds some nice flavours. Believe it or not, following a ride I actually have cravings for this breakfast...It's that good! The Danone Brand yoghurt tastes unreal, is low in sugar, high in protein and full of good natural bacteria. Veg, Veg, Veg. I eat a lot of vegetables for lunch…and a lot of rice! I’m a creature of habit and most days eat exactly the same thing. My favourite is 150grams of salmon, 2 cups of cooked brown rice and 3 cups of sautéed vegetables. I cook my salmon in the oven for about 20minutes and whilst this is cooking sauté my vegetables. I don't have time to buy and prepare fresh veg every day and so I find that the frozen veg works well. 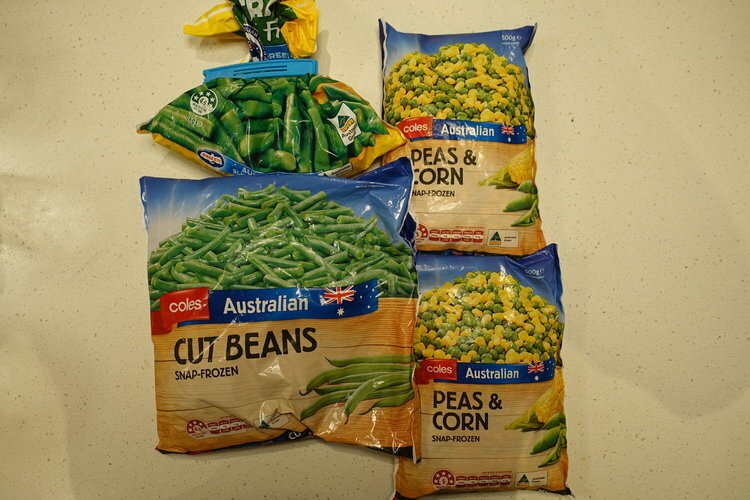 I will always have 5 or 6 bags of frozen veg in the freezer so that I never have an excuse not to eat my vegetables. I microwave them for a few minutes just to thaw them out and then cook them on the stove for about 10 minutes on medium heat with a little olive oil, some garlic and some more curry powder (I love the stuff.) I cook 126cups of rice each week and freeze them in 2 cup portions. Cooking rice every day is a ball ache! A typical lunch or dinner. The total food weight is around 1kg, made up of rice, vegetables and 150g of meat, in this case, oven baked salmon. For most, preparing lunch like this each day isn't viable, however, there’s no excuses. Meal prep all your lunches over the weekend and pop them in the freezer. Between lunch at noon and dinner at 6pm, I snack 3 times. I like to spread my snacks out across the afternoon so that I'm never hungry but also so that I'm always feeding myself. I will always eat a piece of fruit, a slice of home-made banana bread (or home made sourdough) with ricotta cheese and either a cup of yoghurt or 3 carrots and half a cup of hummus. Like I mentioned above, I’m a creature of habit and so eating the same thing every day doesn't faze me. If I'm still hungry after all of this (generally I’m not hungry but rather bored and just wanting to eat) my go to is a cup of black coffee (decaf) and a few big glasses of water. Nothing tastes as good as fresh bread from your own oven. In addition to the cost savings on outrageously priced, store bought sourdough, by making your own, you are able to eradicate all of the preservatives. Veg, Veg, Veg. Again, three cups of veg cooked on the stove top in a little olive oil with some form of Asian/Indian spice to give it some flavour. 200 grams of protein (after tough days on the bike it's always fish and never red meat) and another two cups of carbohydrate. At dinner time, depending on the length of my session that day and the length of the session the following day, I will alternate between rice and potato. If I'm looking for more calories I will eat rice and if I’m looking to fill up but consume less calories I'll eat potato. Interestingly, gram for gram, potato contains a third of the calories of rice. For those looking to shed some extra weight, I recommend eating potato in lieu of rice to cut out the calories. As a cyclist who is completing long days on the bike, calories aren't always the enemy, and I find that I will generally reach for the rice instead of the potato. I keep the potato for rest weeks when I'm not burning as many calories. Two cups of rice, two times per day. I love rice as a source of fuel and nourishment. Somedays, following a super long ride, I will have two cups of rice with soy milk, honey and a scoop of R3 protein. This combo ticks all of the boxes for post ride nutrition. Frozen vegetables are a lifesaver. They're cheap, easy to prepare and the nutrients are snap frozen as opposed to some of the 'fresh stuff,' which has often been transported and stored for upwards of a week. Yes, I eat dessert…but it's generally pretty healthy, Sorry! A cup of pot set yoghurt with a tablespoon of LSA mix and two squares of 90% dark chocolate hit the spot. If I've completed a big day on the bike, I'll also have a serve of R3 Protein in water just before bed to ensure enhanced muscle recovery overnight in preparation for the following day's session. So, there you have it, everything that I eat in a day. It might appear like a lot but exercising for 6hrs a day causes the body to burn a lot of calories and so it's important to replenish what is lost. Again, I must reiterate to you that this meal plan was put together by David Bryant of Catalyst Dietitian specifically for me. David is an Ironman Triathlete and so understands the importance of fuelling for endurance sports. I highly recommend booking an appointment with Dave so that he can assist you in building your own specific meal plan. - Drink water and lots of it! My post ride consumption of water is around 3L/day. I find water is pretty bland by itself and so mix in some diet cordial to help me get it down in the quantities I need to restore my natural balance. - Meal prep is king. If you lead a busy life, then prepare your week’s lunches and dinners and pop them in the freezer. This way there are no excuses for poor decisions. - Carbohydrate is your friend, low carb diets are your enemy! - Protein around exercise is KEY and can be looked upon as a legal performance enhancing supplement. R3 Protein is by far, the best I have used. - Eat your vegetables, they not only fill you up but are made up of macro nutrients that will replenish the vitamins and minerals that your body needs, on a cellular level. - If you want to eat out, I find Asian restaurants are the best. The servings are not only large, but the breakdown of carbohydrate, protein and Veg is generally spot on. Feel free to leave a question below. Look upon me as your one stop resource for achieving your endurance/adventure cycling goals. For those in Perth, jump across to David Bryant's website for details about how he can help you. I highly recommend making an appointment to go and have a chat about your own, personal, dietary requirements.